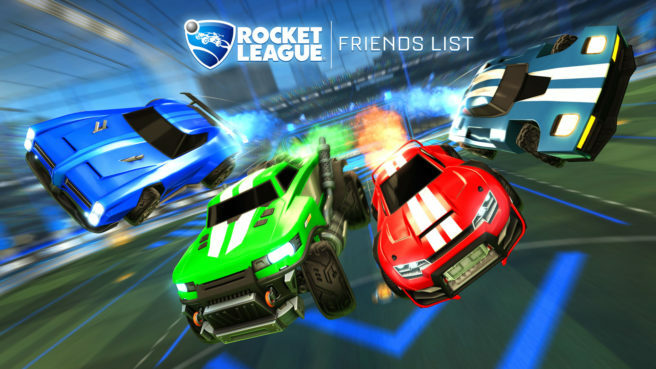 We’re a week away from the next big Rocket League update. The Friends Update launches February 19, developer Psyonix announced today. One of the main features on the way is the introduction of Friends List, the long awaited Cross-Platform Party system. When live, players will be able to invite friends from other gaming platforms to Parties and Clubs. Please accept our sincerest apologies for the cancellation. To make it up to you, we’d like to give everyone the opportunity to get lots of cool in-game stuff via a weekend of combined Double XP AND Double Painted drop-rates starting March 7. The event will last four days and end on March 11. We hope you enjoy the extra drops and XP and hope to see you join us for the weekend!